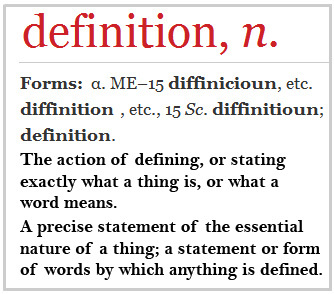 This feature is found in most Digital Single Lens Reflex cameras (DSLRs) and the older SLR format. Mirror lock-up, when activated, lifts the reflex mirror prior to shutter opening. The lifting and dropping of the mirror during normal operation is a major source of in-camera vibration. 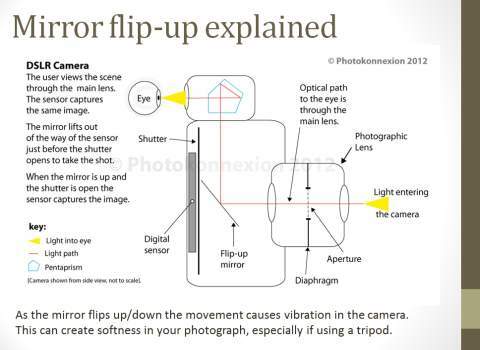 So, to prevent the vibration from a normal shot the mirror in your camera can be lifted before the shutter opens. The resultant lag time allows the vibration to die away. Then the mirror is dropped after the shutter has closed. These lag times ensure vibration cannot affect the exposure. The mirror lock-up vibration problem is worst when the camera is mounted on a tripod. Reflex mirror vibrations travel down and up the tripod legs. While the vibration shakes the camera the shutter is open. Using the mirror lock-up allows you to take shots without this interference. Diagram explaining the mirror lock-up function. When using mirror lock-up the optical path to your eye is interrupted (see the diagram below). In this mode you cannot use the camera viewfinder. Hence, the technique is best used when on a tripod. Then, the shot can be set up in advance of lifting the mirror. One exception to this is where digital cameras can use live view mode. 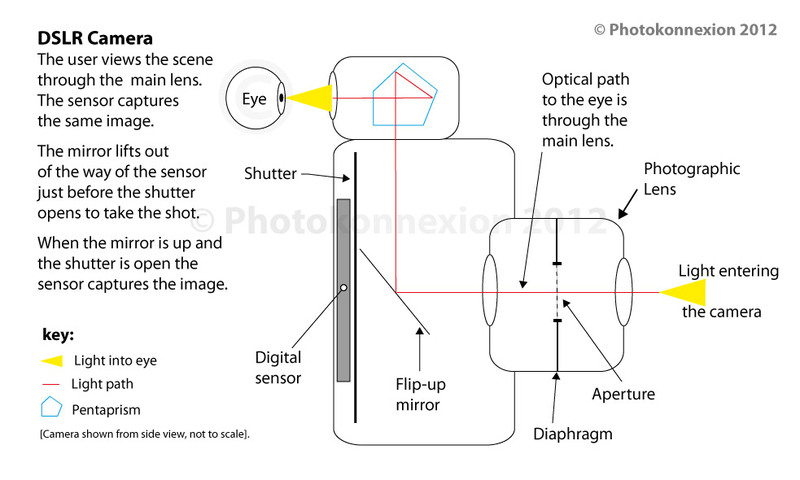 The digital image sensor sends a continuous picture to the screen on the back of your camera so the user can still see through the lens. In this mode the camera can be used hand-held. However, you should remember that DSLRs are not as stable held like this compared to lighter cameras. The use of the mirror lock-up function can be a big power drain on the battery. 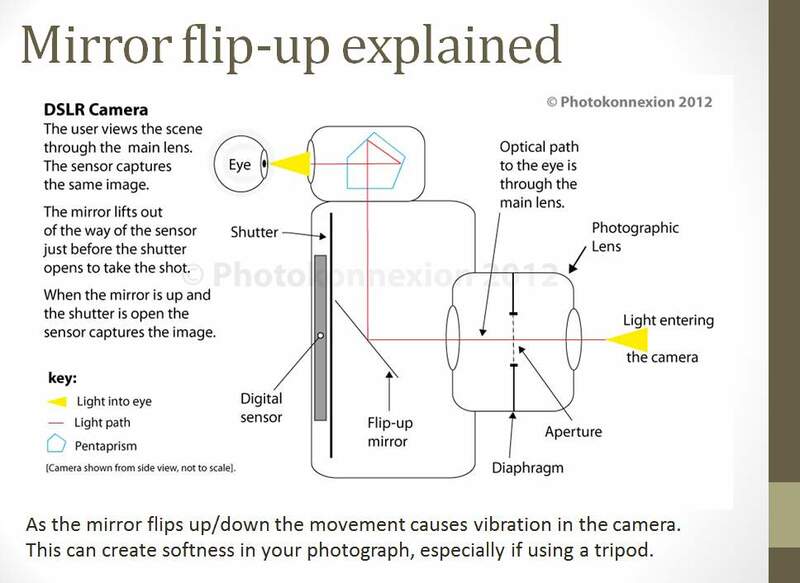 Cameras use a motor to maintain the mirror in the flipped up position. If you use the function a lot be prepared to have an extra battery on hand. The same applies to live view on your camera. Continuous use of the rear screen and mirror lock-up together can use your battery power up quickly.